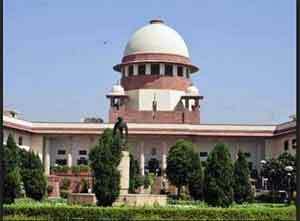 New Delhi: The Supreme Court today refused to stay the operation of new amended rules of the Union Health Ministry directing the manufacturers to have graphic warning images on packets of cigarettes and other tobacco products and helpline numbers for those who wanted to quit the habit. When Rohtagi said the people should have the right to choice and the new rules violated that right, the bench responded saying the “people also have the right to informed choice.” It added that if the pictorial warnings provided the information, then there was no harm. Assailing the new rules, Rohatgi again said “If one eats chocolates, they run the risk of becoming diabetic which may lead to glaucoma.” To this, the bench said “eating chocolates does not create diabetes. The analysis is wrong. If you have diabetes, then you should abstain from chocolate.” The tobacco firms, represented by Rohatgi, have approached the court against the recent Health Ministry rules. “We will tag the interim application with the appeals (pending),” the bench said. The bench tagged the petition with around 45 petitions filed earlier in relation to the matter, including the one filed by the Centre against a Karnataka High Court order quashing the 2014 government regulation that packets of tobacco products must carry pictorial warning covering 85 per cent of the packaging space. As per new rules, the packets of smoking and smokeless forms of tobacco products will have to carry phrases ‘tobacco causes cancer’ and ‘tobacco causes painful death’ in white colour on a red background and the phrase ‘quit today call 1800-11-2356’ in white font colour on a black background. The top court had on January 8 stayed the Karnataka High Court order quashing the 2014 government regulation that packets of tobacco products must carry pictorial warning covering 85 per cent of the packaging space. The high court, on December 15 last year, had struck down the 2014 amendment rules that mandated pictorial health warnings to cover 85 per cent of packaging space of tobacco products, holding that they were unconstitutional as they violated fundamental rights like the right to equality and the right to trade. The bench was hearing appeals including those filed by NGO ‘Health for Millions Trust’ and Umesh Narain, a senior advocate, against the high court verdict. The high court had, however, made it clear that the 40 per cent pictorial health warning rule, which existed prior to the amendment rules, would remain in force.